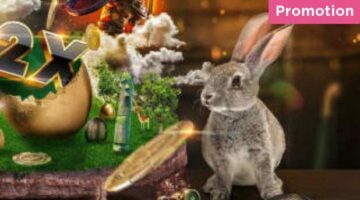 GUTS online casino is giving new account holders a 200% matched deposit up to the value of €100 and 100 free spins on Vikings. To claim the bonus offer all you need to do is open a new Guts.com account and make your first deposit, with any deposit to the value of €50 or more giving you the maximum bonus amount. 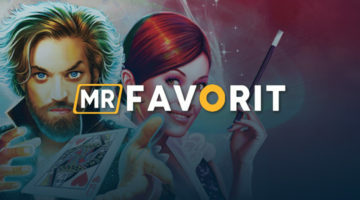 The extra spins on the highly-popular Net Entertainment slot Vikings will then appear in the “Rewards” section for you to claim within 24 hours. You then have 72 hours to use them after you claim them. 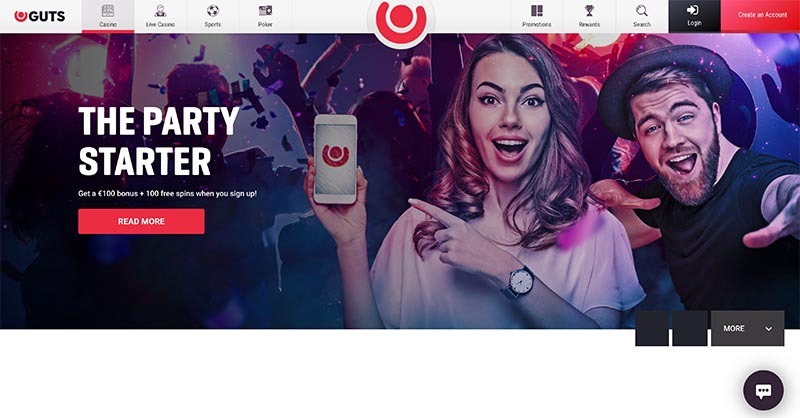 The terms and conditions attached to the bonus are very reasonable in comparison to other online casinos bonus offers, with a 30x turnover requirement and a minimum €10 deposit the main stipulations. You are also unable to claim this promotion if you make your deposit with Neteller, Skrill or Paysafecard. It’s also important to note that not all games clear the wagering requirements at 100%, with different games, including some selected slots, having much lower clearing rates. Read the full terms and conditions for this promo. Guts.com is giving players the chance to win a trip to Paris by playing selected slots during three separate time periods. Challenge 1: Play Goldilocks between 10:00 (CET) on 04/02/2019 and 23:59 (CET) on 06/02/2019. Challenge 2: Play Dwarfs Gone Wild between 10:00 (CET) on 07/02/2019 and 23:59 (CET) on 10/02/2019. Challenge 3: Play Big Bad Wolf between 10:00 (CET) on 11/02/2019 and 10:00 (CET) on 14/02/2019. 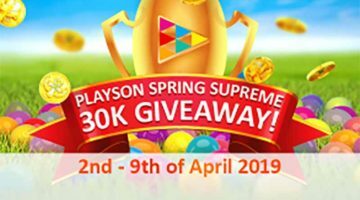 Basically the more you play the slots during the selected period the more entries you will receive into the draw, while you will also be given a shot at up to 250 free spins. To gain entries bet a minimum of €0.50 per spin on Big Bad Wolf and Goldilocks, while the minimum to partake in the promotion on Big Bad Wolf is €0.60. The winners from the draw will be announced on February 14 and they will have up until the end of May to take their once-in-a-lifetime holiday. The trip will also include return flights from a European capital of your choosing, two nights in a four-star hotel, a night on the town and your airport transfers. You can read more about the Guts.com Paris promo and the terms and conditions on their website.